If your home is in need of new furniture pieces and you’re curious about 2018’s hottest furniture trends, continue reading to discover 7 furniture trends which you may be interested in purchasing. 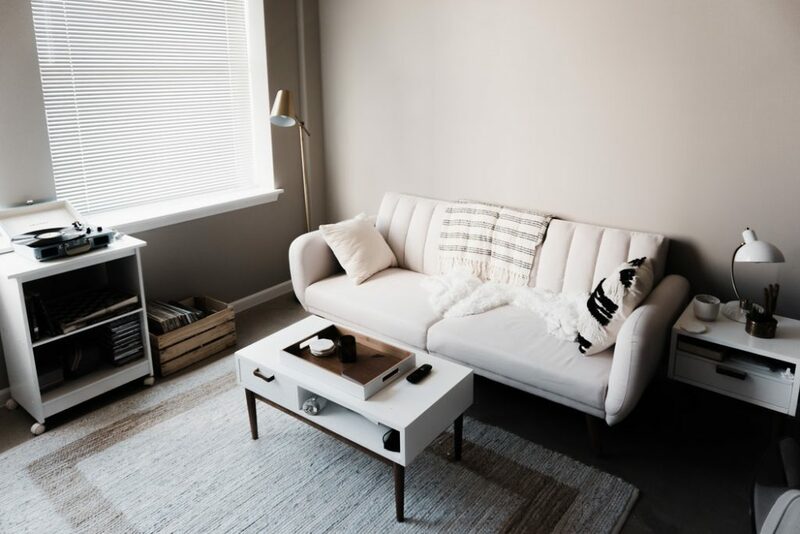 Sleek, modern leather sofas are skyrocketing in popularity, so if you’re looking to invest in a high-quality piece of furniture which will look just as stylish in your home in five years as it does today, it’s well worth investing a high-quality leather sofa. If your home has a traditional look and feel you may prefer to opt for a brown leather sofa, whilst if your home has a more modern vibe, you may want to consider purchasing a black leather sofa. Although you may also want to consider purchasing a bright, bold red leather sofa! If you’re stuck on where to look for some new furniture pieces and ideas, Hudson Furniture has a large selection. If you don’t feel like switching out your current sofa, you may want to incorporate 2018’s leather furniture trend into your home, by purchasing a chic, stylish leather coffee table. If you visit your local furniture store this year, you’ll notice that ottomans are an extremely trendy item this year. Not only will a patterned or leather ottoman add an extra touch of style to your lounge but ottomans are also practical as you’ll be able to use your ottoman as a footstool or a minute table to place your coffee cup or TV remotes on. Some ottomans even open up to reveal handy storage space. If leather furniture doesn’t interest you or fit your home’s interior decor, you may prefer investing in stunning, luxurious velvet pieces. Such as a velvet chaise or a velvet sofa. If you browse online furniture stores for velvet pieces you’ll probably notice that the most popular colors of velvet furniture this year are dark hues such as navy, forest green, and burgundy. Another furniture trend which you may want to experiment with is marble. By simply placing a marble coffee table or a marble kitchen island into your home, your home will instantly look more polished, luxurious and stylish. If you’re not afraid to take risks and love bold colors, you may want to consider purchasing a bright yellow piece of furniture, which will make happier each time you look at it. If you’re on a budget, you can also create your own DIY yellow bookshelf or coffee table by purchasing a pot of yellow paint and a pot of furniture stain. Which you can layer over your coats of yellow paint. L shaped sofas are perfect for large families or for individuals who frequently enjoy entertaining their friends and family members for house parties as they provide more seating than your average 2 or 3 seater sofa. So if you want to give your home a new lease on life and are interesting in investing in a few new furniture pieces this year, it’s well worth deciding which of the furniture trends listed above, you’re most interested in.